This week’s report from the produce aisle brings us to peaches! It really has been too long. Enjoy! 1. By far, California is the largest producer of peaches in the US, producing 607,600 tons in 2015. 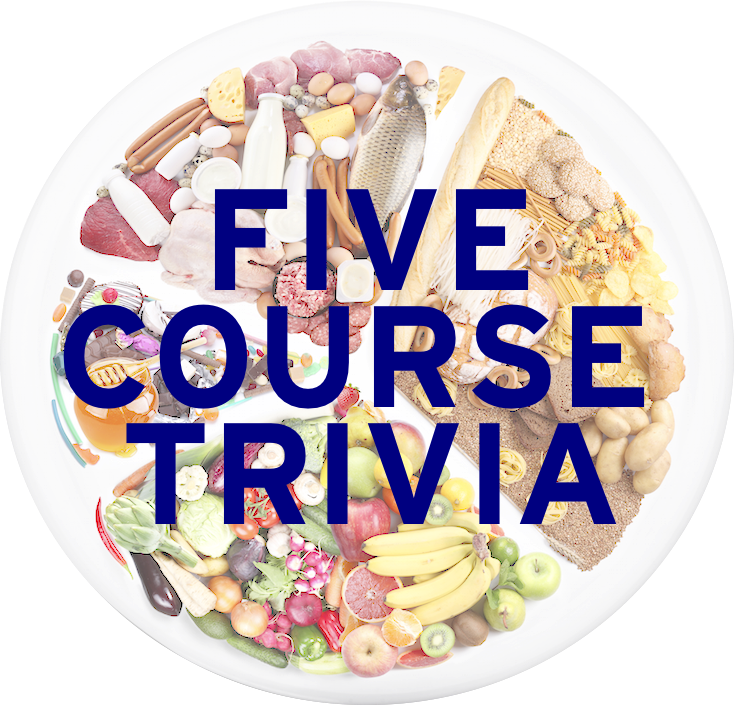 What state comes in second, producing 68,900 tons in the same year? 2. Name the peach variety seen here, one of the most popular in the US, often used in canned peaches. Developed in 1875 in Macon, Georgia by Samuel Rumph, he named it after the middle name of his wife, Clara ___ Moore. 3. Prosecco wine and peach puree are the ingredients of what cocktail, which was named after the Italian painter of “The Feast of the Gods”, who died in 1516? 4. Name the man that created the dish seen here, and name the occupation of the namesake of the dish. 5. Name the dessert seen here. 6. Ovocne Knedliky, a pastry/dumpling filled with fruits like peaches (seen here), apricots, or strawberries and often eaten for a “sweet dinner”, is a dish native to what European country?